WOW. That doesn't even look real. Fantastique! Barcelona is hands-down my most favorite vacation spot so far. Gorgeous! I need to see this place in real life. Absolutely gorgeous Rachel! Wherever you go, can we come along? I went to Turkey 2 summers ago. It was incredible. We visited Istanbul, Cappadocia, and Ephesus. They were all great, but Istanbul was my favorite! Amazing! What a beautiful place to visit, I've never seen anything quite like it. One of my favorite memories from that trip...let's press "repeat"! at the risk of sounding juvenile, these gardens remind me of the gardens in the movie coraline! and i am definitely adding this place to my list of must-sees-before-i-die. the peacocks are just the icing on the cake! Wow, what an enchanting place! this place looks incredible! it reminds me of one of my favorite movies, the labyrinth. i'm going on vacation this year, but i have no clue where yet. thinking about turks and caicos, but nothing is set in stone. i'd love to visit france one day, though. love the culture and the food. I love this! I wonder if it could be recreated in someone's backyard. Wow! How stunning. 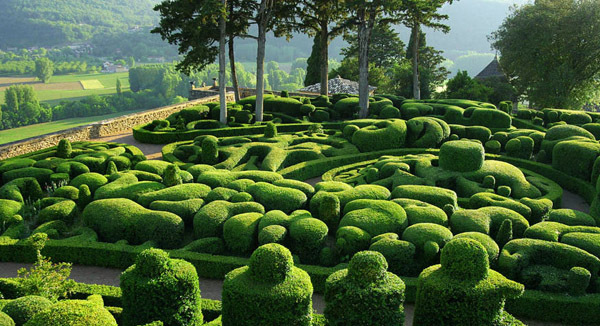 I think it would be fascinating to see an aerial view of these gardens. How many people are involved in the creating and upkeep of this wonderful show piece? I've travelled quite a bit but I think one of my favourite places was the Algarve in Portugal. This is so magical! I would love a vacation full of visiting garden after garden. So hard to choose my favourite holidays so I am going to limit it to 3 places: Provence, Tuscany and Amsterdam. And New York. And Barcelona. And Mallorca. Oops, couldn't stop at 3! Such beautiful photos of a stunning location ... I hope you find some wonderful places to add to your list. 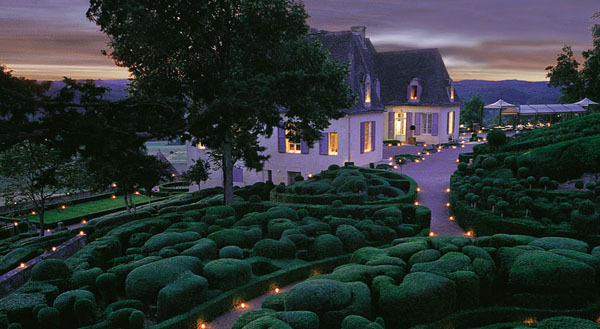 I dream of gardens like that!!! !